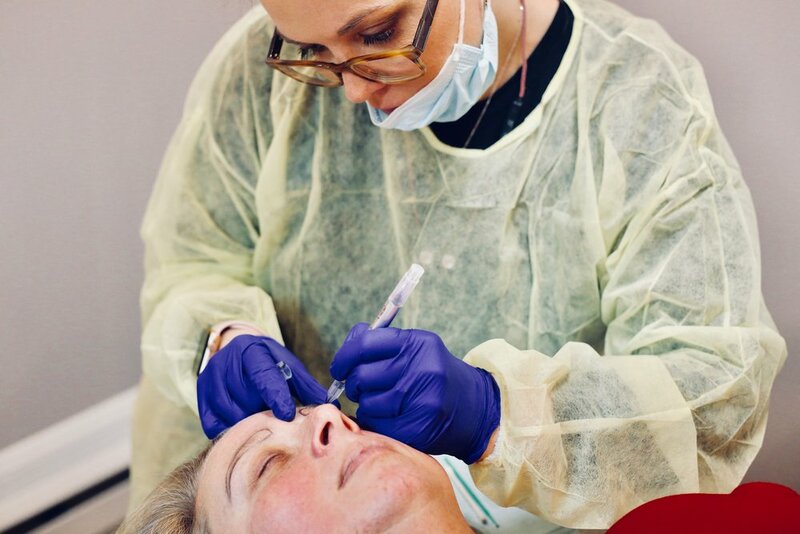 Also known as permanent makeup, a non-surgical process of using pigment that is deposited into your skin. For the initial procedure it takes one to three hours. Please note this depends on the type of permanent makeup you are getting. For the touchup in four to six weeks, the procedure takes one to two hours. Busy bee? Always on the go and don't have time to apply makeup properly or have light or little eyebrows this procedure is perfect for you. Individuals suffering from eczema, psoriasis, keratosis, dermatitis are not suitable for tattooing because the pigment will not hold well with the skin because your it is constantly shedding. This is only if you are suffering with these conditions on your face. After the non-surgical procedure you must wait ten days before any physical activity (gym, sauna, etc.). The salt in your sweat can effect the healing process and pigment, making it appear lighter than it should. In the start it is brighter, bigger and more sharp. The color at first will appear darker than the ending result. Then it heals, peals and fades. AFTERCARE is key to have the best results. You may experience swelling and redness where the procedure was done. Healing time takes four to six weeks. Individuals with large pores and/or oily skin tend t0 need touchups more common such as eight months to a year. Common skin types usually need a touchup in three years.